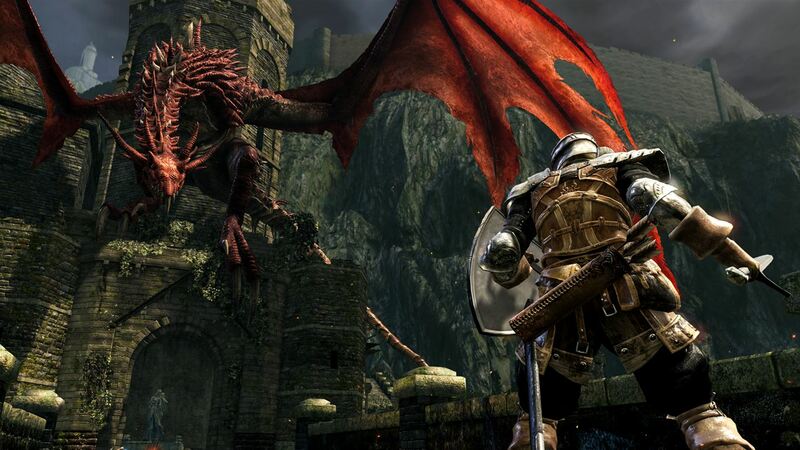 Even nearly seven years after it released, and a couple of sequels later, the original Dark Souls is still the best game in the franchise and the Remastered version only solidifies that status. The remaster isn’t spectacular in terms of updated visuals, unfortunately, but the subtle quality of life improvements added here to the already stellar base game still make it more than worth picking up as the best version of the game for longtime fans and newcomers alike. Continue reading our full Dark Souls Remastered Xbox One review for more. I have a bit of a weird history with Dark Souls. Honestly, I didn’t think it was so great back in 2011 when it released. It was too hard and clunky and slow and I couldn’t get into it. I got to the bell gargoyles and died a lot and quit. Then a couple years later I beat the gargoyles only to get stuck at the Capra Demon and quit. Surprisingly enough, though, I loved Dark Souls 2 and Scholar of the First Sin and Dark Souls 3 and didn’t have any problems playing and beating them multiple times. It wasn't until 2017 when I went back to Dark Souls 1 with all of my accumulated knowledge and skill from playing DS2 and DS3 that Dark Souls 1 finally clicked for me. Suddenly Dark Souls 1 went from something that was too hard and I didn’t understand to a game I fell madly in love with. I beat it 4 times in a row over the course of about a month and even recorded a full new game plus Let’s Play (that literally no one watched ...) because I loved it so much. So what eventually made me fall in love with Dark Souls after so many false starts to the point it’s not only my favorite Souls but one of my top 3 favorite games ever? Fantastic enemy and boss design (look up the Gaping Dragon or Quelaag or Ornstein & Smough). Satisfying gameplay that, while seeming slow and clunky at first, is extremely strategic and varied and ultimately very rewarding with a high skill ceiling while accommodating multiple play styles and character builds. And awesome level design where the whole game is fairly realistically interconnected and feels like one world rather than a bunch of separate levels. The story, too, even though you have to dig for it, is absolutely fascinating as well. As much as I love it, I do have to admit that Dark Souls 1 does still have some problems. The second half of the game was clearly rushed and isn’t nearly as fun or well designed as the first half. 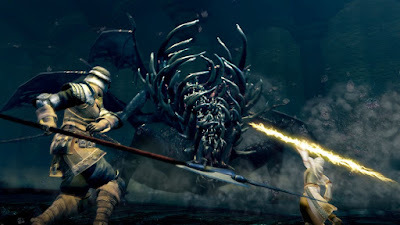 The second half contains some of the worst bosses (Ceaseless Discharge, Bed of Chaos) and worst areas (Lost Izalith, Tomb of Giants) in the entire franchise. So how can a game with the lowest of lows also be my favorite? Because the first half is absolutely brilliant. 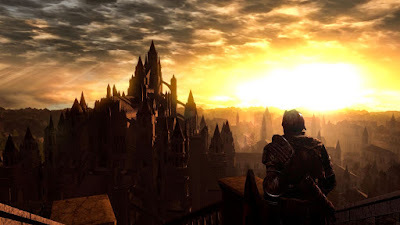 Almost everything up until you beat Ornstein and Smough in Anor Londo is amazing so you sort of slog through the weak second half knowing that when you beat the game you’ll be able to play the good stuff again in New Game Plus. Don’t get me wrong, there are some bright spots in the second half too, of course, but when people talk about how great Dark Souls is they ain’t talking about most of the stuff after Anor Londo. For the first half to be so good that it makes up for the second half should tell you just how excellent that first half is. I’ve mostly been introspective so far in this review, so apologies if you expected more nuts and bolts descriptions of how Dark Souls works. Maybe check out one of the hundreds of reviews of the original release if you still don’t know what Dark Souls actually is. That’s enough about me for now, though. What you’re really here for is to see how the remaster turned out. First, the bad news. Dark Souls Remastered is not the big graphical update a lot of people probably hoped for. It looks OK, certainly, but these are still largely the same assets bumped up to 1080P so there are some ugly textures here and there and it definitely doesn’t look like a proper current gen title. It does definitely look better than the original release overall, though. Everything else, though, is good news for Dark Souls Remastered. The visuals did get some upgrades, notably in the lighting engine and things like fire and other special effects look really great now. The draw distance got a decent bump, too, so you can see things with better detail from further away than you previously could. Looking down into the flooded New Londo Ruins from Firelink Shrine, for example, finally has the impact it was always meant to since you can clearly see it and it isn’t just a blurry mess anymore. The game also runs at a mostly smooth 60FPS rather than the sub 30FPS the original version struggles with, which makes a huge difference. The game feels fast and smooth now. It does struggle here and there to maintain 60FPS, however, and certain boss fights such as against Seath the Scaleless and Gravelord Nito noticeably chugging along (on a launch day Xbox One, at least). Blighttown, which is notorious for running like frozen sludge, does maintain 60FPS, however. Dark Souls Remastered makes some other key upgrades as well. You can use multiple items at once now, for example, so you don’t have to pop a dozen soul items individually anymore. A bonfire was added by the blacksmith in the Catacombs, which makes runs down to the Tomb of the Giants much less of a headache. Multiplayer has been boosted up to 6 players (3 co-op and 2 invaders) and it all runs on dedicated servers now. You can also create a password in order to co-op with your friends, rather than random players, which is a fantastic addition. 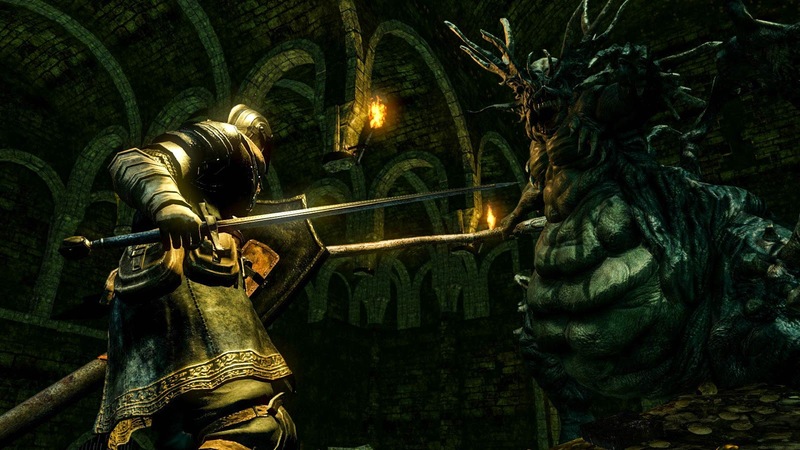 In general the network features work much better than they ever did in Dark Souls 1 previously, so covenants like Blades of the Darkmoon (who punish other players who “sin”), or the Gravelord Servants (who can call black phantoms into other players’ worlds) actually function this time around. You'll also come across special enemies called Vagrants (crab-like enemies created when another player dies and loses a ton of humanity) that almost never appeared in vanilla DS1. All in all, Dark Souls Remastered is easily the best version of the game you can play on consoles. Some folks might be disappointed that it isn’t more of a visual upgrade or that it isn’t remixed like Dark Souls 2: Scholar of the First Sin, but there is no denying that the improvements here do make it a better experience overall. Just having the multiplayer function properly makes a huge difference, as does having the game run at 60FPS most of the time. Dark Souls Remastered is a great jumping in point for newcomers to the franchise and, assuming other players are like me and love playing through these games over and over and over, veteran fans will find it worthy of a purchase as well. Dark Souls 1 is awesome and Dark Souls Remastered makes it even better. Buy it.